PROSOCO has teamed up with Georgia‐Pacific Gypsum, one of the leading manufacturers of gypsum sheathing, to bring a time- and money‐saving, revolutionary new product to the construction industry. The DensElement® Barrier System unites science with technology. FastFlash is the only GP-approved flashing membrane for the DensElement® Barrier System. Comprised only with approved components, the system has undergone rigorous performance testing for conformance with the current water-resistive barrier and air barrier requirements of the International Building Code (IBC) and the International Energy Conservation Code (IECC). Those components include DensElement® Sheathing from Georgia-Pacific Gypsum and R-Guard® FastFlash® Liquid Flashing Membrane. No one else in the industry does the number of test panels on buildings that we do (honestly, we wish this weren't the case). Nobody else is doing that trial-and-error work, which can be time-consuming and tedious, but it's what is absolutely necessary to identify the right product to clean, protect or waterproof buildings without damaging them. 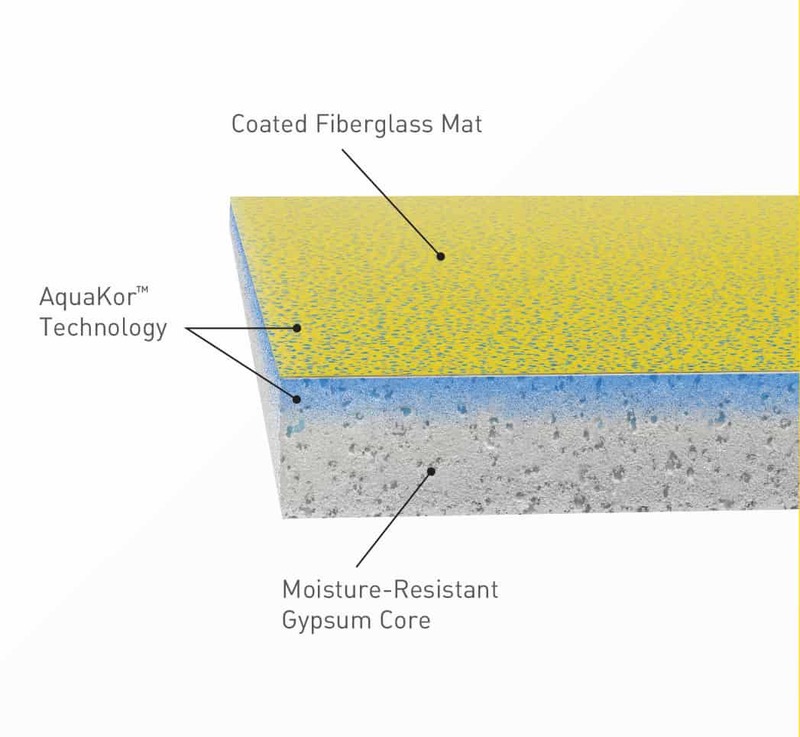 When finished with PROSOCO R-Guard® products, the DensElement® Barrier System features a high vapor permeability that helps walls dry out if moisture is introduced, rather than trapping water inside where it can lead to moisture-related failures in walls. Install DensElement® Sheathing just like standard fiberglass mat gypsum sheathing. Seal all rough openings, sheathing joints, vertical corners, fasteners, pipe penetrations, and materials transitions with PROSOCO R-Guard® Fast Flash® liquid flashing. Just like the DensGlass® GOLD Sheathing that you know and trust, the DensElement® Barrier System incorporates the same high quality and performance you would expect from Georgia-Pacific Gypsum. The premium nature of the DensElement® Barrier System merits a premium warranty. Our competitive warranty includes both a 10-year manufacturer’s defect limited warranty and a 12-month limited warranty against delamination or deterioration of the DensElement® Sheathing from exposure to normal weather. See our limited warranty for complete details. PROSOCO's nationwide network of field and technical reps from coast to coast are at the ready to guide you through your DensElement® projects. When issues crop up on the job site, that’s when other manufacturers tend to make themselves scarce. That’s where PROSOCO is different. That’s where we specialize. Contact form for general questions.